That he could still get the message of Conversations with God out to as many people as wished to receive it. That he could provide a way for those who yearned to explore the material more seriously—toward the end of not only using it in their lives, but possibly even sharing it with others—to grapple with its messages on an intimate basis, wrestling with its concepts in highly personal interactions with the person who brought them through. That he could share with as many people as possible the knowledge that they can have their own conversation with God---and demonstrate for them a way that they can do that, offering an opportunity for them to have the experience then and there. One of the most unusual of these programs, called The Homecoming, offers Neale a chance to sit down with people in a way that is unlike any other: in the comfort of a private home - a carefully selected bed-and-breakfast just on the outskirts of Ashland. This event is extremely informal, with no rigid format or agenda, no "end product" that is promised, and no outcome that anyone is attempting to produce. There is only the pure and unencumbered experience that maximum synergy and total freedom from form could eventuate. It is, in short, an open-ended discussion, a grand exploration, both a discourse and an exchange, with a handful of people (usually 9 or less), with Neale in a quiet living room setting. The experience is one of sitting down with Neale from 9:30 each morning until 6:00 each evening for initmate, free-flowing conversation and exploration. 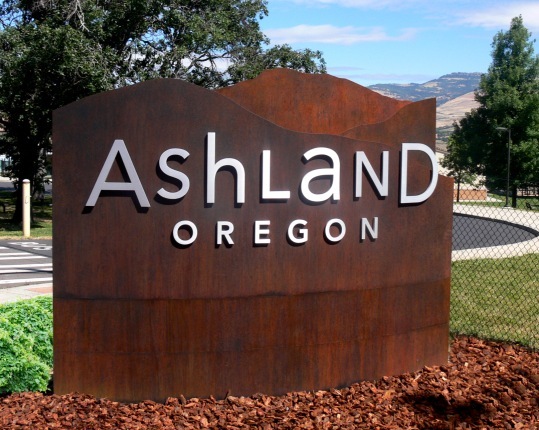 Although there are plentiful lodging accommodations in Ashland (which is a wonderful "tourist town") which participants in this program could book if they wish, Neale is pleased to offer free shared-room housing of guests in the home he uses for this event. If you would like to stay at the house, please let us know at the time of your registration for this program. Again, there is no increase is cost to stay at the house. Residency there is free. And yes, breakfast, lunch and dinner with Neale are served at the home every day for all participants, and may be enjoyed whether you "live in" during these five days or choose to book your own private space elsewhere. If your choice is to stay at this private home, rather than in a nearby hotel or motel, please register early, because the same-gender shared spaces (with individual beds) are limited, and are offered to the first participants who request them. Saturday evening members of the group will have an opportunity (it is optional for each) to view a film in the house on the big screen TV: Conversations with God: The Movie. Neale will talk about the film the next day, and discuss in an intimate way the year that he spent living on the street, and what he learned from the experience. These five days offer unparalleled personal access to the material contained in the extraordinary CWG books (and to anything else that anyone wants to touch upon and look at deeply with the person who brought that material through). The Homecoming is an opportunity for a limited number of people who feel they have the time, the energy, the personal resources, the ability, and the desire to co-create such a singular experience. We realize that the Homecoming, offered several times a year, is not a program for everyone. Neale provides access to the CWG material for a lower cost, and a great deal of it for free, in other programs throughout the year. This includes a free 3-day retreat every year. 75% of all fees paid will be refunded if a person cancels their participation more than 30 days prior to this program. Should a person cancel less than 30 days prior to the start of this program, all monies received for the program will be retained, with no refund given. However, it is possible -- but not guaranteed --that this program could be offered again in the future. If so, and you would like to register for that possible future event, your fees paid but not refunded may be brought forward and applied to a future registration. This policy is necessary because, by registering for this program, you are asking us to hold a place for you in a very limited-space event--a space which we cannot offer to anyone else. The only exception to this policy will be the death of a member of your immediate family (defined as your spouse, grandmother or grandfather, mother or father, child or sibling).